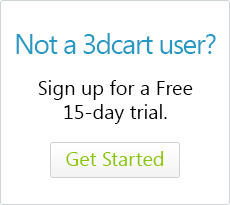 How do I remove the "Powered by 3dcart" notice on my store's footer? By default, 3dcart stores will include a copyright section along the bottom of your site that will list your "All rights reserved" notification, as well as a link showcasing that your store uses eCommerce website design by 3dcart. Look for the "Frame" area which will contain a section labeled "copyright1"
While the copyright information on your 3dcart can be freely edited, third-party applications like the Facebook app cannot be edited. We apologize for the inconvenience.